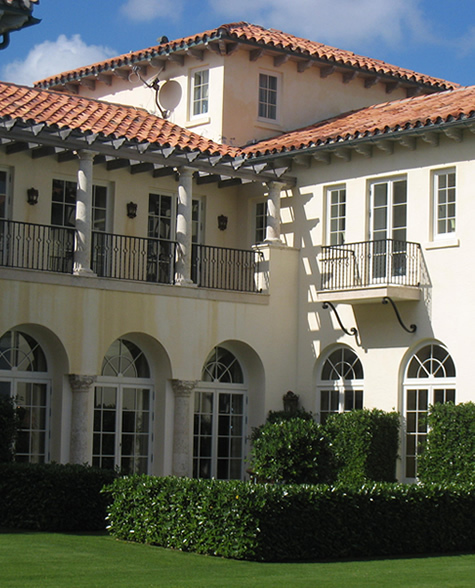 Since 1979, Seaspray Group – a third-generation company – has constructed, renovated, restored, preserved and managed the most prestigious properties in South Florida. With a passion for preservation and restoration, Seaspray Group ranks properties by noted Palm Beach Architects John L. Volk, Addison Mizner, Marion Sims Wyeth, Maurice Fatio and Alfred Browning Parker among its vast and impressive portfolio. In 2008, the highly-skilled team, renowned for painstaking attention to preservation and restoration, was approached by an international couple who saw the splendor in the now dilapidated 1920’s Addison Mizner Casa Amado. This former gem adorning the Atlantic coastline was once a Mediterranean masterpiece for entertaining the rich and famous! For five years, the team worked tirelessly to bring this 23,000-square-foot Florida landmark back to its former glory. One of the largest alteration is the new west-facing entrance hall, which opens to the main floor. A double-height space with stone balustrades and floor tiles matched by faux-painted walls, it features a pedimented interior doorway that offers a dazzling view straight through the living room out to emerald lawn and sapphire waters. The public spaces on the main floor were relocated, placing the dining room on the west side of the building. The pastel-tone living area, baronial library, and beamed family room all overlook the Atlantic and access a secluded terrace and two shady loggias. Sleeping quarters occupy the second floor, including a spacious master bedroom with panoramic vistas in three directions. Among its prestigious property portfolio, Seaspray Group has developed construction projects in such communities as Palm Beach Polo, Island of Palm Beach, Seminole Landing, Jupiter Island, Lost Tree Village and Royal Palm Yacht Club. 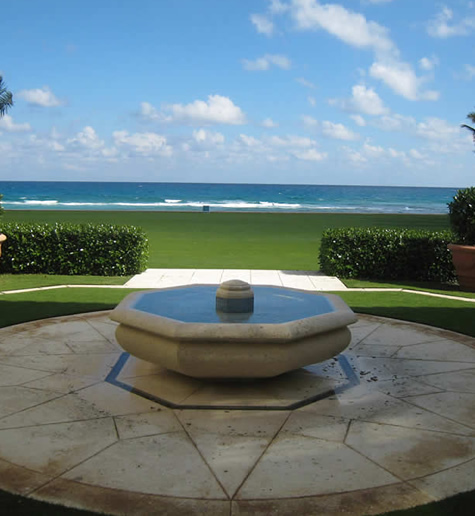 It is currently focused on constructing and renovating properties across Palm Beach Island.